As I drove home from work one day in October I was having a conversation with Stacey and she was telling me about a band called The Damnwells and the lead singer Alex Dezen and how he was awesome and that her favorite song was from their band and then weirdly enough Getty’s name popped into the conversation. 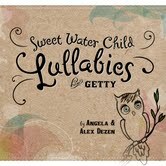 In such a crazy turn of events, it turns out that Alex and his lovely wife Angela had been working on some songs for a lullaby album, but didn’t have a name. Then I heard those three words and I just about drove off the Capital City Freeway in rush hour traffic. They wanted to call it “Lullabies for Getty“. Read this post if you need a refresher on the story. At that moment I realized that people were actually following our story. I wasn’t just a mom devastated by a diagnosis in isolation. Getty and her story were affecting people and I instantly felt a sense of comfort knowing that there were angels among us finding creative ways to help our family and the cause. I dove into The Damnwells, learned as much as I could, (They are awesome!) before ultimately meeting both Alex, Angela, and Morgan from The 818. I have said this before, but the moment we all starting talking, it felt like old friends had picked up a conversation from long ago. It just felt great to spend time with them and get to know them. All three are terrific human beings and to think that they were lending their talent to help us find a cure for SMA, well I just can’t explain how incredible that feels. All I can say is that I am entirely grateful for their love and their compassion and their sense of purpose to help. I got a chance to hear a few of the tracks early and all I did was weep. Each and every track made me think of Getty in some special way. When I originally thought of a lullaby I thought of old school songs that had a cow and an old man and something jumping over the moon. Um……these tracks are not like that. They are absolutely gorgeous songs with such beautiful meaning and could easily be played in other genres other than children’s lullabies. Getty listens to the tracks before going to bed. I tell her that “Uncle Alex and Auntie Angela want to say goodnight” and then I hit play. Perhaps one day she will start to hum with the music. Please take the time to sample each song. Simply gorgeous! There were many people who made this album possible and I would be remiss if I did not mention them. Thank you to Alex Dezen, Angela Dezen and Morgan Shanahan! Thank you to the Honey Agency for all of your time and effort! Thank you to Stacey Ball who seems to know everyone and I love you! Thank you to The Damnwells, Neal Ostrovsky, Ryan Marshall, The Gaynor’s, The Prendiz’s, and Wes Kidd at Red Light Management. We wish you all good luck on the release! we r ready to buy our own copy! I can’t wait. I’m just so excited we were able to do this. I adore you guys. …and KATE: YOU ARE MOST DEFINITELY NOT ALONE. I just bought this-and hope in some small way Getty knows how loved she is. I have a chronic health issue (I say issue instead of disease since it sounds nicer) and it’s easy to feel sorry for myself. But looking at your sweet little girl makes me realize how lucky we are to be here-and that sometimes people get sick for a reason. Thank God and thank you for sharing your little one with us all–I hope she continues to soar. Seriously, we love you guys so much. Thank you for giving us the opportunity to get involved, and thank you for being just so incredibly awesome. All the love in the world to you and your family, tonight and always. HOOT HOOT! 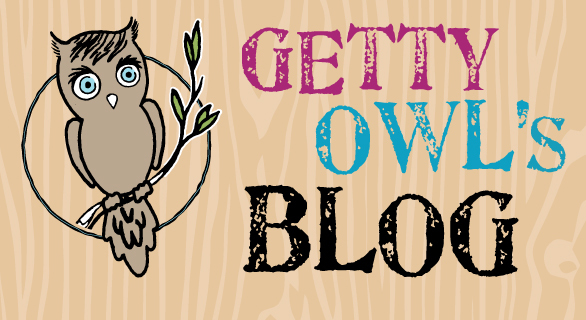 I was just introduced to your blog/foundation by Stacey at Pill’s Place and I’m so glad she brought your blog to my attention. Baby Getty is absolutely adorable and I love what you guys are doing ~ I can’t wait to get my ears on the album and share it with my lil boy so he knows what an amazing lil girl Getty is and what a wonderful thing you guys are doing here!